Who is this modern Indonesian woman? What are her attributes and beliefs? What differentiates her from her predecessor? Today’s modern Indonesian woman is driven to create her own identity. She is tech-savvy, educated, optimistic and action-oriented. She is conscious of her physical fitness and mindful of the food she eats and serves to her family. She is modern yet traditional and radiates charm and tries to balance work and home life and is free to learn, travel and raise her children as responsible citizens of tomorrow. She is the nucleus of a happy home. We met some women to see how they were handling multiple roles and responsibilities as mothers, wives and career women. IndoConnect spoke to several women members of the diaspora in Singapore to see how still relevant is Ibu Radeng Adjeng Kartini to the women here today. Nomita Dhar, first spoke to Ni Nyoman Mahaswi Astama, the wife of HE I Gede Ngurah Swajaya, the new Ambassador of Indonesia who shared her story and thoughts on the matter with us. 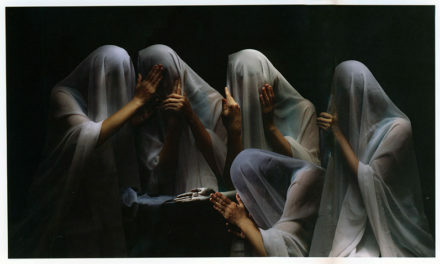 Ni Nyoman Mahaswi Astama is a perfect amalgamation of tradition and modernity. While, in her smile she still retains the school girl charm, her education as a lawyer and her lifelong learning through her travels worldwide, make her a beautiful representation of today’s Indonesian woman. She has all the attributes of Ibu Kartini, the prominent Indonesian national heroine from Java, who has been idealised as the country’s own “Dream Woman”. Ibu Mahaswi was born in Denpasar, the capital of the beautiful island of Bali, known to her friends as Ibu Swi, she has been in Singapore for over two months and says while she is more than settled, her mantra for all her postings has always been, “ to accept and adapt to the host country and make a conscious decision to be happy, be active in enhancing people-to-people contact, improve ties and make everlasting friendships”. “I studied law in the University of Udayana, Bali where I met my husband, but as he joined the Ministry of Foreign Affairs, I was unable to practice law and I have been supporting and following him, in his agenda to promote the interests of Indonesia and my education has come in handy “. She has done inspiring work in promoting the interests of Indonesia when she followed her husband to the Indonesia Embassy in Bonn, Germany, in Bonn; the next foreign posting was in New York where was part of the Indonesian Permanent Mission to the United Nations; next was to his first posting as Indonesia’s Ambassador to Cambodia and by 2010 she found herself back in Jakarta as her husband became Indonesia’s Permanent Representative at ASEAN where she was also the President of the ASEAN Women’s Circle. She takes her role as the wife of the Ambassador seriously as she also seek to inspire their two children, son Putu Prima Apri Swajaya and Made Bella Octavina Swajaya, who are both perusing careers of their choice: Prima is a business consultant based in Surabaya and Bella in advertising in Jakarta. “These days the children are different, you cannot ask them to choose a career of your choice, like become a doctor, or diplomat, but you have to advise them to do their best in what they choose to do and not only do well at work but contribute to the society and lead a meaningful life”. Lita Kadartin was born in Jakarta, the oldest of four children. She loves swimming and dancing since the time she was able to walk; so much so that her mother enrolled her in a dance school when she was just five years old! Academically she excelled graduating from Gunadarma University in Information Management. 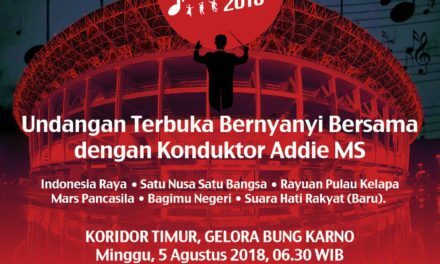 But it was her love of dancing that saw her participated in a cultural dance delegation to Bogota which was where she met her husband, Ridwan Hassan, who is now the Indonesian Embassy Charge d’Affairs in Singapore. Family commitments (they now have three children) and diplomatic –related activities have scaled down greatly her favourite pastime dancing but she recalled there was nothing growing up that had stopped her from pursuing and becoming anything she wanted to be and she felt that this is one of the legacies Indonesian women enjoy now thanks to Ibu Kartini. Arts is definitely in her blood with outstanding talent in the performing arts. The beautiful soprano voice of this Ambonese lady, blossomed by professional vocal training in a music school. She had a golden opportunity to get a singing scholarship in London as the best student from the school but forego that, bearing the responsibility as the eldest child of six in the family and they were raised by only by their mum when she was 14 years old. 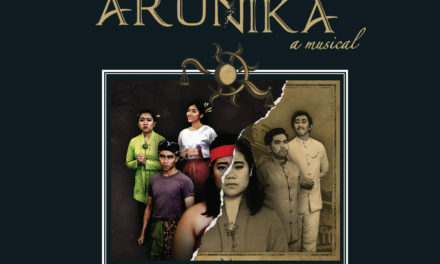 Her musical talent mixed with her dancing knowledge of traditional Javanese and ballet-jazz made her able to produce and direct a number of musicals and concerts in Indonesia and Singapore. She has worked in multinational companies such as Philips Indonesia, the Medco Group of Companies and the last position she had was at Andalan Artha Advisindo, a security company (finance non-bank) as the Head of Administration after the company sent her for studies in Hongkong for her qualifications in Human Resources for Financial Institution for a better understanding of business and management. Presently, she is also the Treasurer General of Indonesian Diaspora Network (IDN) Global and the Advisor of Forum Komunikasi Masyarakat Indonesia di Singapura (FKMIS)/IDN Singapore which she was also the co-founder and the President in the period of 2013-2015. Ibu Astuti is an embodiment of the strength of the human spirit and the devotion of a mother’s heart. IndoConnect asked what inspired her about Kartini? She said like many other Indonesian mothers, she has big dreams for her children and just like Kartini, she firmly believed that education is the key to succeed in life. So in 1989, she had to leave her family behind to come to Singapore to find the means to fulfil her children’s aspirations financially. After working as a domestic helper here for decades, she will be retiring this September and returning to her family in Indonesia to spend a well-earned rest with her happily married and well-employed children. They are Asma Khozin (eldest, of age 37), Ita Asni and Sri Uliani have off springs of their own now, making Ibu Astuti a grandmother of seven. She said she was glad that it will soon be going to be a happy ending. However, like in every fairy tale, she intimated that there first come the times that were very difficult and tragic. She is most proud of her special achievements in life – her children, whom she has played an enormous role in their success today. A few years ago she asked her elder two children whether they wanted to go to university and vowed to them that she would ensure they would have enough funds. She spent years doing back-breaking work and whenever it was time to pay admission fees she would borrow money from her employer and work for months to make up for that money by working on a heavily reduced salary. Her determination to give her children a fair shot at life led to both her children graduating from university. Her elder son is a graduate from Universitas Islam Indonesia in Jakarta. Her second daughter is more family-oriented and chose not to go to university but rather stay focussed on her own children and work. However, even today Ms Astuti says despite her age, she would work to fund her third child through university if she ever changes her mind. She is indeed a reflection of the immense struggle countless mothers face when they come to Singapore in the search of work; and more importantly, how they return triumphant. Jakarta born and bred, Diana Brunner, moved to Singapore with her Swiss husband in 2010. She is today the proud mother of two sons (5 and 3 years of age) who were born here. Though the family loves living in the island republic, there are plans move back to Zurich for the children’s education as the parents want them to complete their tertiary studies in Switzerland. Cosmopolitan, well-travelled and already familiar working in the corporate world before moving to Singapore, she shared her concerns about how Kartini’s contributions to women’s emancipation will not result in working women being so caught up in their careers. Leli came to Singapore in 1995, and worked as a Singapore Airlines stewardess before she eventually married to a Singaporean pilot. She now has a 17-year old daughter. In 2015, she opened her own floral boutique – Twig and Twine. Her family and friends firmly backed her to turn her passion in flower making into today a successful business venture catering from weddings to corporate events, flower orders, conducting workshops, taking part in many charitable events and collaborating and partnering with companies. She has learnt much on her own in the business world. Her philosophy is one does best if whatever one does is with love, passion, and faith. She now is also involved in the annual Formula 1 Singapore Grand Prix Hospitality Team and villa rental business in Bali. Leli admits she has been inspired by the life of Kartini and she also owes some of her entrepreneurial spirit and courage embarking on new ventures by Kartini’s life story. She said, “Thinking back on what a woman could do back then, or rather, was allowed to do, I truly believe that Indonesian society has changed and evolved quite a bit. Women are not just playing their duties as wife and mother any longer, but as partners, fellow colleagues, and people whom you can discuss with, in nearly in all aspects of life. One very important landmark for us, is that women are given the same opportunity to achieve the same level education as men. 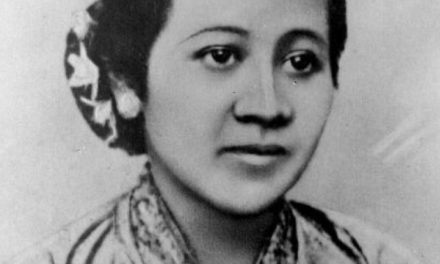 And in Indonesian women history, the name Kartini is a truly heroic one. She was the first woman who fought for women’s emancipation, that women has equal rights as men, in education, social treatments and job opportunity. Rita Mulani was born in Surabaya but her grandparents came to Indonesia during the Hindustan-Pakistan war. Rita’s dad was just three months old when the migrant family settled in Indonesia. He grew up and married a woman from Solo who gave birth to Rita. The second generation Indonesian Mulani went to a nursery school in Surabaya before moving to Jakarta for formal schooling. She loves Indonesia, speaking Bahasa fluently and greatly identifies with its culture and food. Rita married and settled in Singapore in the mid-90s, going into business with her husband, Mohan Mulani, to run a chain of themed food and beverage restaurants and bar as well as a hotel. In 2012, they sold their shares in the business and she concentrated on managing a children play and music centre franchise here. She also travels often to the Sub-Continent to visit relatives there and can compare the opportunities offered to women in Indonesia and says that she feels lucky to have been brought up in Indonesia. Rita recalled schooling in Jakarta, “We celebrated Hari Kartini Day in school with celebrations such as dances, essay competitions, dramas, to appreciate women’s education – and we were in a co-ed school! Rany hails from Jakarta, of Javanese descent on her father’s side (Solo) and her mother is from Padang. She holds a Bachelor of Economics from University of Melbourne and Master of Mass Communications from Deakin University Melbourne. Married to Colin Moran, they are blessed with two sons and have been living in Singapore for 11 years. Rany is the founder and CEO of Wowz Entertainment which covers a TV station, family entertainment centre Amazonia and F&B bistro in Singapore, Jakarta, KL and India. She is also a Director of Adavale Harner Resource, a family company with interests in mining, trading and commercial and hospitality properties. She is also the co-founder and actively committee member of Loaf Charity which is presently focussed on children education and health in Indonesia and Cambodia. Women are even considered irreplaceable for certain jobs. My hope is that young Indonesian women have a positive attitude and self-confidence to truly believe that anything is possible. It is also important they put forward their views. It is a very competitive world and you must speak up to defend your ground to succeed. They must be determined and at the same time be kind and compassionate. Use all these qualities positively along with their talents, skills and education as their role to be a good mother and educator for their children, daughter for their parents, wife for their husband, friends for their society and good leader for their community and nation. “Indonesian women are taking a much more active role in Indonesian society as evidenced by the number of women ministers and even a women president. Like myself, they are adapting to the new roles in society of having a career as well as maintaining the traditional family role around husband and children. Many Indonesian men are also becoming more accepting and adapting to women’s new roles in society – this is a gradual change.